I think this is British, but I can't read the name of the pottery above the bird, and I'm not coming up with anything by searching studio pottery bird marks. Anyone recognise it? Assuming the second word is "Pottery", the bird, and the shape of the letters, how about something like "Rookes Pottery"? Cheers, I'll chase it up. I couldn't find a picture of their mark (the pottery is now closed), but after looking at examples of their work online I'm going with Rookes Pottery (David & Catherine Rooke, Hartington, Derbyshire) . Many thanks. Help again please. 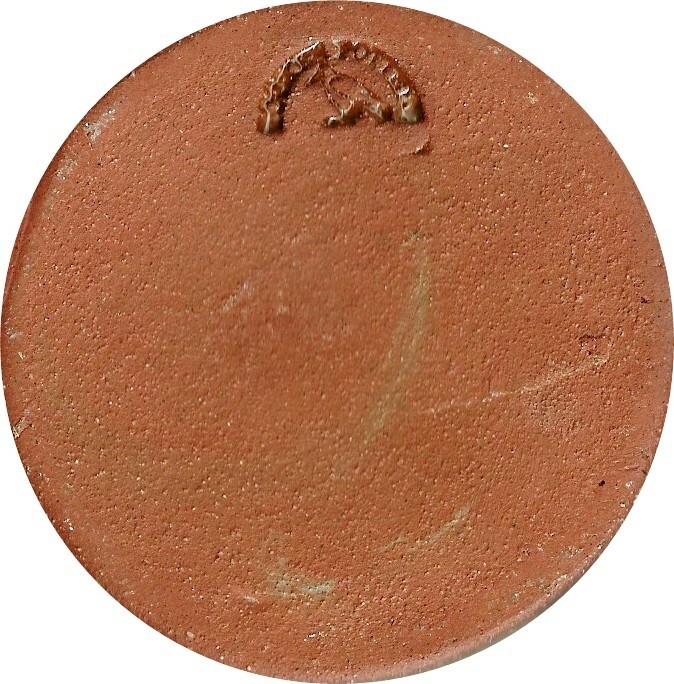 Does anyone know this studio pottery mark, and what looks like a Raven/Crow including something xxxxx Pottery, can't read it or make it out. 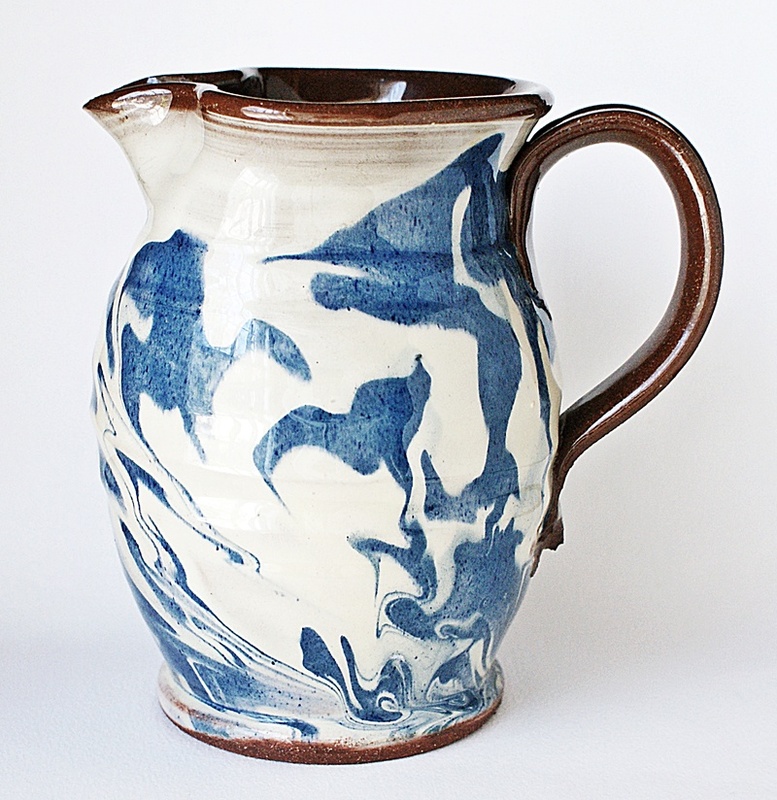 Large blue & white agate jug, possibly Devon Pottery. When I get time, will take a picture of the jug, I will upload. Bravo for that, and thanks for the quick reply. I will add some pictures of the jug at some point. Thanks again for all your replies and info, much appreciated. I have now included a picture of the jug. What date did this pottery close, if there is any date/decade info would nice. Companies House will have a closure date on their companies accounts database. In production from 1977 until 2012.